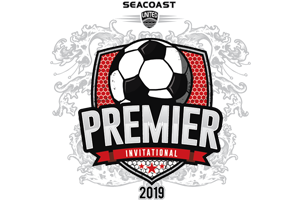 Registration for the 2019 Seacoast United Premier Invitational will take place online through GotSoccer! Questions on registration? Please contact Chris Scott at cscott@seacoastunited.com or by phone at 603-758-7122. General tournament questions? Please contact Tournament Director Chris Scott at cscott@seacoastunited.com. Upon completion of your online registration, you will receive an email copy of your invoice. A deposit is required at the time your application is submitted. If your team is not accepted, your deposit will be refunded. Please refer to our Tournament Refund Policy for teams that are accepted to the tournament. Full payment must be received for your application to be considered & complete. Please click here to download your player medical release waiver. Medical release waivers must be signed by each parent/legal guardian of each player participating in the tournament, and waivers must be submitted to the tournament director prior to the start of the event. Registration and documentation questions can be directed to Deb Crow at dcrow@seacoastunited.com or by phone at 603-758-7124.